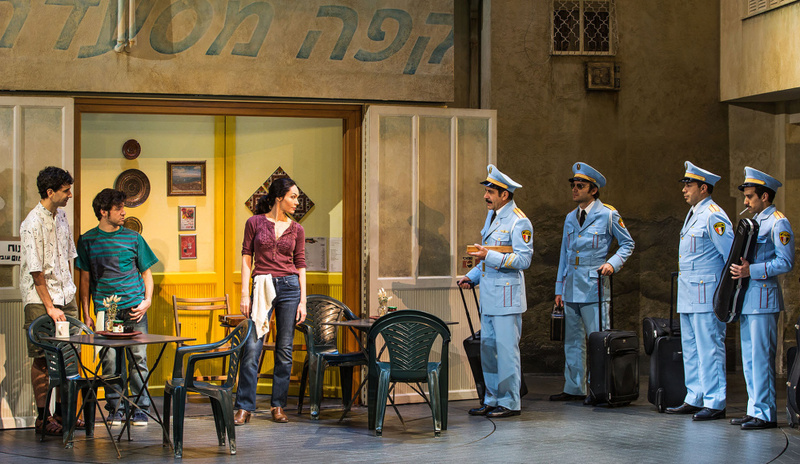 Mainers headed to New York for the holidays may want to pick up tickets to “The Band’s Visit” at the Ethel Barrymore Theater in midtown Manhattan. The new musical that opened Nov. 9 is getting rave reviews and is packed full of Mainers. Tony Shalhoub, who studied acting at the University of Southern Maine, has one of the starring roles alongside John Cariani, who grew up in Presque Isle. Tyler Micoleau, who grew up in Portland, designed the lighting for the show. The brief plot summary: After a mix-up at the border, an Egyptian police band, led by Shalhoub’s character, is sent to a remote village in the middle of the Israeli desert. With no bus until morning and no hotel in sight, these unlikely travelers are taken in by the locals, one of whom is named Itzik, played by Cariani. The musical tells a story about accepting people from different backgrounds who, when brought together by circumstance, create sparks and help each other heal. Itzik, a lover of music, is in a difficult situation in life. He is unemployed and failing as a father. His wife is unhappy with him, and she becomes more unhappy when he takes in the traveling musicians on her birthday. “This is a story about the power of music and how strangers can change people, if you let them,” Cariani said. The musical is doing well. 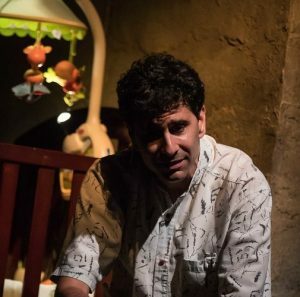 Writing in The New York Times, theater critic Ben Brantley called it “one of the most ravishing musicals you will ever be seduced by” and singled out the performances of Shalhoub and Cariani, as well as Micoleau’s lighting design. Variety also gave it a positive review. Cariani’s major solo is a lullaby that he sings to his child about his failures as a husband and a father and his hopes for a better life. Cariani has become a pretty good singer, but it’s come with a lot of work. Cariani is a Tony Award-nominated actor and playwright. In Maine, he is best known as the author of “Almost, Maine,” which debuted at Portland Stage Company and tells the story of love and loss in a mythical northern town. It is one of the most produced plays in America and the most popular high school play in the country. He is grateful for another starring role on Broadway and also pleased the response to “The Band’s Visit” has been so positive. It’s a good show for these times, he said. “It’s about a part of the world that people are interested in, and it’s about kindness, which people are interested in right now, as well. And it has some of the most beautiful music you will ever hear,” he said.